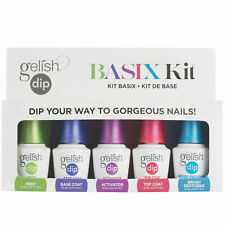 Gelish Dip System Dipping Liquid 4 Steps Basic On Sale! Gelish Dip Prep, a natural nail dehydrator. Apply one coat prior to Gelish Dip Base, for perfect adhesion and longevity. Apply a thin layer of Base Coat to the surface of the natural nail and dip into your Dipping Powder. Size: 0.5 ounces per bottle. 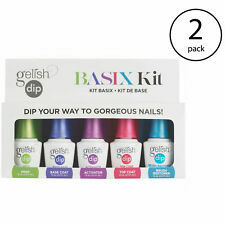 Gelish Acrylic Powder Nail Dip Basix Kit. The sale if this item may be subject to regulation by the U.S. Food and Drug Administration and state and local regulatory agencies. Order Processing You may also be interested in. Gelish - Acrylic Dip Powder - Clear As Day - 105g / 3.7oz Big Size On Sale! 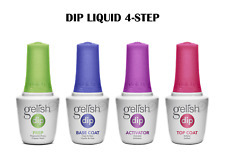 Introducing the Gelish Dip System, a new Dip System brought to you by Gelish. So no matter what your style or personal color palette, you're covered. All colors are matching to Gelish and Morgan Taylor shades too! 1 Nail Surface Cleanse 4 oz. - 1 Tutus & Tight Dip Powder 0.8 oz. 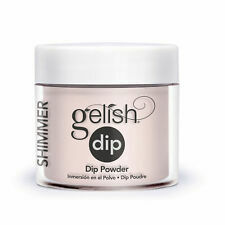 - 1 Simple Sheer Dip Powder 0.8 oz. - 1 Artic Freeze Powder 0.8 oz. - 100 ct Nail Wipes. - 2 Bottle Cap. Kit Contents. Gelish Dip Powder Color: Simple Sheer. Light pink color. Dip nails into this powder to give color on nails. Normal jar size of 0.8oz. No light needed. To be used together with the other Gelish Dip system products. Includes 3 dip powder colors (Hot Rod Red, Polished Up, and TuTu's & Tights). Gelish - Acrylic Dip Powder - Arctic Freeze - 105g / 3.7oz Big Size On Sale! Gelish Dip Powder system 1611812 - 1611999, Choose Any One! Colors match Gelish & Morgan Taylor shades. 3 gelish color dip pơder 23g. Simple Sheer Dip Powder 23g. French Dip Container. Kit Includes No light needed. 100/180 Grit Buffer File. Acrylic & DIP Powder. Fungus Fix. Gel Polish. Machine & Furniture. They create superiority within the industry as the go-to nail manufacturer for state-of-the-art products, proven to perform to the best of standards while upholding the motto "Done right from the start.". Gelish - Acrylic Dip Powder-Tutus and Tights (Dark Pink) 105g / 3.7oz Big Size Condition is New. Shipped with USPS First Class Package. 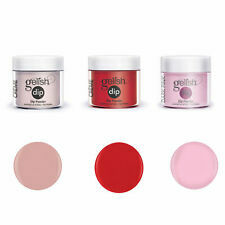 Gelish - Acrylic Dip Powder - Simple Sheer - 105g / 3.7oz Big Size . Condition is New. Shipped with USPS First Class Package. The Gelish Color Dip Kit is specially designed to provide you with better color clarity than other dip systems. This system includes 3 dip powders in Hot Rod Red, Polished Up, and Tutu's & Tights. Don't just powder your nose, powder your nails too! Trending at $13.26eBay determines this price through a machine learned model of the product's sale prices within the last 90 days. Use in combination with Gelish dip powders for flawless nails every time Creates a durable, long-lasting manicure that will sparkle and shine for up to 14 days without chipping Easy and fast application No harsh odor No LED or UV lamp required Includes: Prep Base coat Activator Top coat Brush restorer Size: 0.5 ounces per bottle. DIP your way to Gorgeous Nails. Unlike the dip systems of the past, this new formula is finely-milled for better color clarity. Easier and faster to apply than traditional acrylic. • No Light Needed. 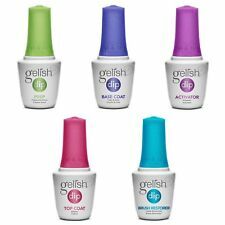 The Gelish Color Dip Kit is specially designed to provide you with better color clarity than other dip systems. Don't just powder your nose, powder your nails too! Take those drab, unfinished nails and start taking care of them. Gelish - Acrylic Dip Powder-Light Pink 105g / 3.7oz Big Size. Shipped with USPS First Class Package. Acrylic & DIP Powder. Machine & Furniture. Fungus Fix. Gel Polish.